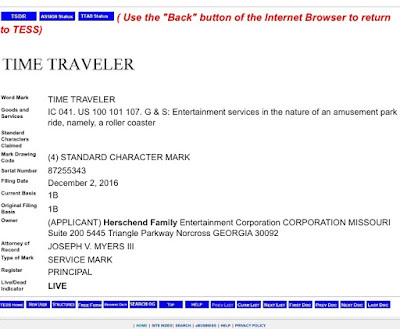 It appears that Silver Dollar City has filed a trademark for their upcoming 2018 rollercoaster that is currently under construction near ThuNderaTion. 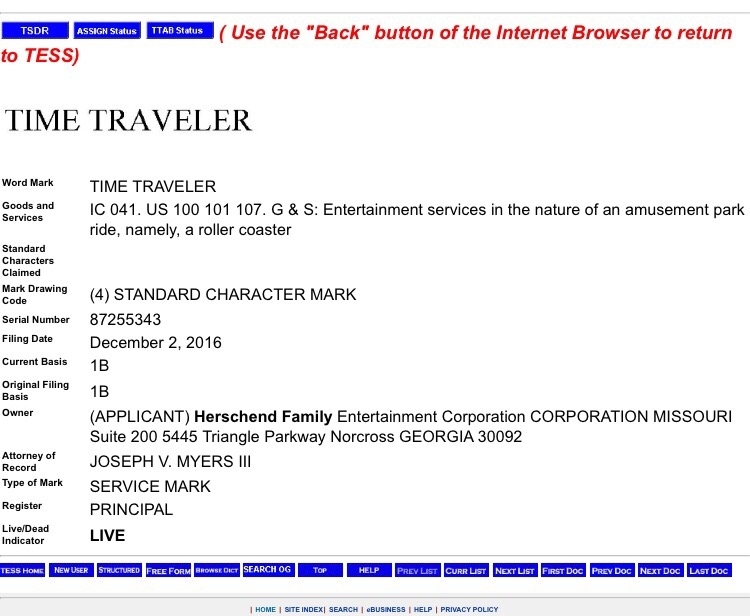 If that name sounds familiar, it's because it was on one of the three themes that they put out in a survey earlier in 2016. 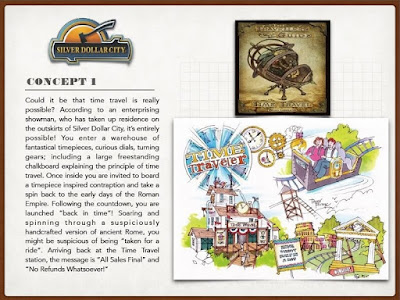 If you are having trouble remembering, here is the concept artwork from that. 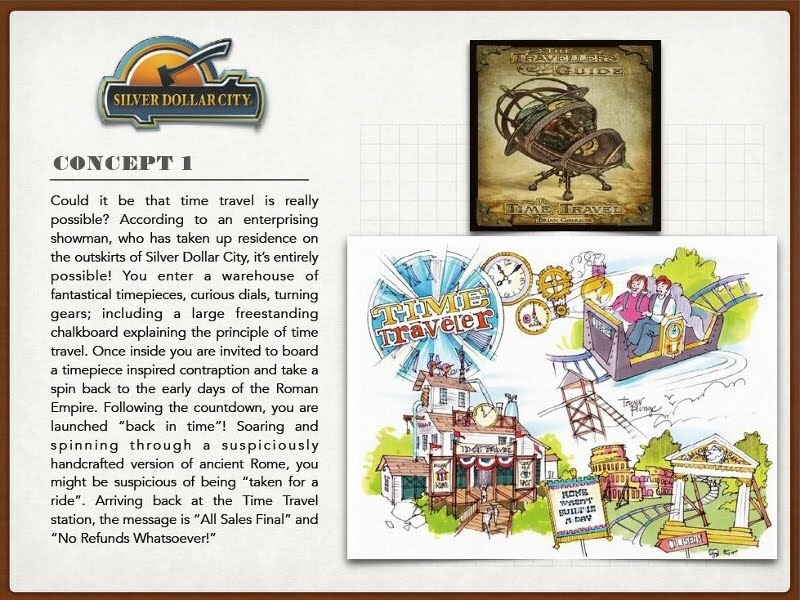 Sounds like the back theme is that of a "snake-oil" salesman that is tricking people into paying to go on his "time machine" back to ancient Rome. This sounds like an interesting theme and we cannot wait to see what the finished product will look. We will keep an eye on this project and keep you updated as more news and progress occurs.